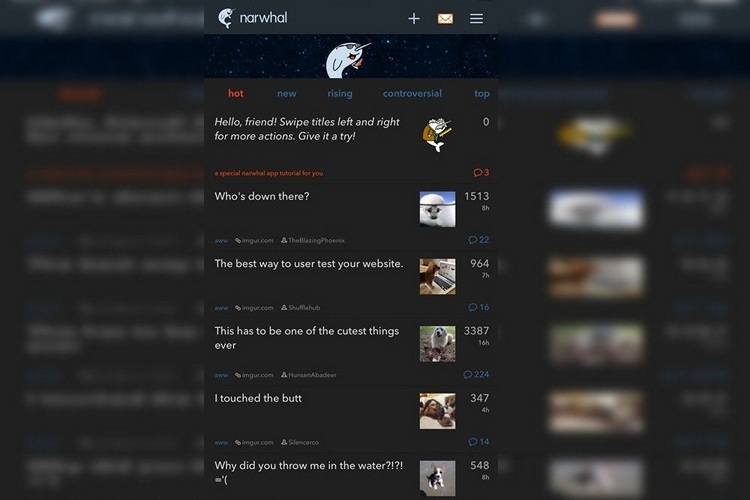 After many a request from users around the world, developer Rick Harrison has finally introduced a ‘True Black Mode’ for his popular third-party Reddit client, Narwhal. The developer had earlier announced that the update will be rolled out with version 2.14. The app also gets a bunch of other new features as part of the latest update, including another oft-requested one – autoplay GIFs while scrolling. However, the feature is only active by default on Wi-Fi to prevent unnecessary consumption of mobile data. Automatic GIF settings for only on WiFi (default), always, or never. Sharing to remove ads is back! In case you’re unaware, Narwhal is a fast, gesture-based Reddit client that’s available only on iOS (9.0 and above) and, is compatible with iPhones, iPads and iPod Touch. While the base version of the app is available for free, the pro version that comes with all the bells and whistles can be bought for $3.99 in the U.S. and Rs. 300 in India. 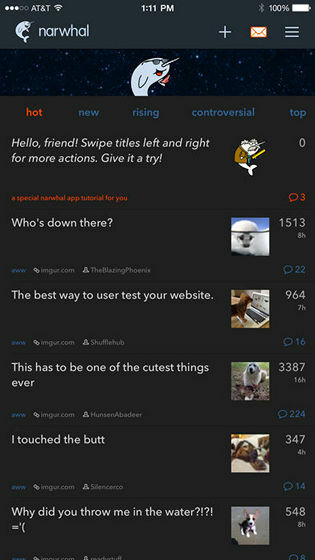 While the free version lets you browse all the subreddits (including multireddits) view images and linked pages, read comments and use gestures for navigation, you will need the premium version to login, vote, submit new posts & reply to comments, as well to use the mod features. While Narwhal still remains one of the go-to apps to browse Reddit, it has been facing stiff competition of late from the likes of Apollo that was officially launched last year by former Apple intern, Christian Selig. This particular app already had a built-in dark mode that has been much-appreciated by the growing user-base, which could very well have pushed Narwhal to releasing this feature, after resisting it for years.